In the past Arte and Flamant have already demonstrated on several occasions why they work so well together. Both companies constantly keep up with the latest interior trends and sometimes one idea leads to another. 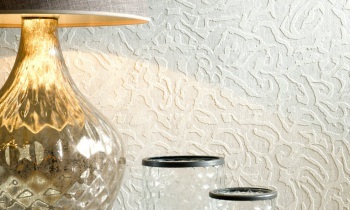 That is how this lovely wallpaper collection – rather spontaneously – came about. Take a look at Flamant Les Minéraux. People generally associate Flamant with a certain type of interior since the interior specialist, which has been selling its products in Belgium and abroad for over 30 years, has a very specific style. The emphasis is always on simplicity, tranquillity, a cosy and homely interior. But elegance, authenticity and respect for tradition are equally important. A house, above all, has to be a “home”. But this does not mean that the style of your home can’t change or evolve along with changing tastes and trends. Quite the opposite even. 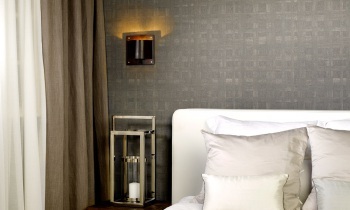 Flamant always succeeds in adding a new twist to any interior while remaining loyal to the brand’s basic philosophy. 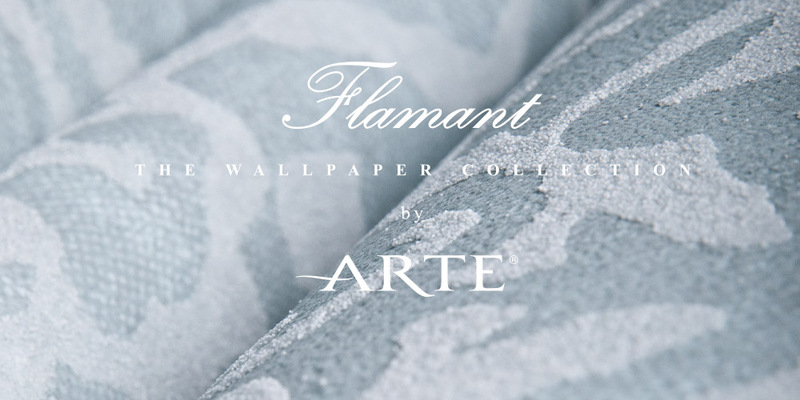 For Flamant Les Minéraux wallcovering specialist Arte explored the windy French Côte d’Opale. This lovely stretch of coastline in the north of France becomes increasingly rugged as you move to the west. Here the grey cliffs tower above the sea and the wind can truly be strong whipping up the sand. But these primal forces and the rugged aspect of the cliffs also inspired this collection. A unique techniqueThe basic reference in this collection is Opale. You can immediately sense where the wind is coming from. This reference is the most plain option, and comes in no less than 30 different colours.You will undoubtedly recognise the eternally popular linen pattern in the background, to which we have added rough brush strokes this time. The effect is somewhat reminiscent of the special and expensive textured painting technique that is sometimes used in exclusive villas. Variations on this theme – continuing our travels along France’s coastline – are Portel and Touquet. The former features a striped pattern, the latter a chequered pattern. They both come in five different colours. Real sandstoneThe rugged textures of sand, chalk and granite are most apparent in Escalles. Here we have used real sandstone for the pattern. You can feel the grain and the pattern adds a nice relief. Escalles comes in four colours. The colour gradations in this collection are peaceful – sometimes also matte – and perfectly suited to a natural colour range, which includes eggshell, beige and sand, rusty and earthy shades as well as watery green, coral and various greys and browns. Soothing colours in other words. Making them easy to use in any interior and a popular choice. 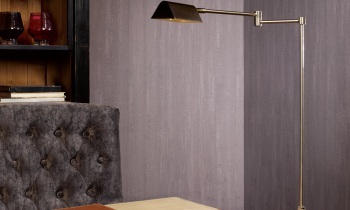 Flamant Les Minéraux, yet again a collection of wallcoverings with staying power.